Welcome to the Ocala Sailing Club! 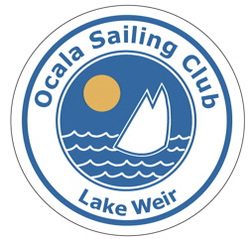 The Ocala Sailing Club is the point-of-contact for sailors in the North Central Florida, Lake Weir, Ocala, and Marion County areas. We sail primarily on Lake Weir and also travel to other Central Florida Sailing Clubs to participate in their sailing events. We have an active calendar of sailing events as well as great social events. Please contact us for more information and join us for an event soon! Interested in Crewing/Looking For Crew?